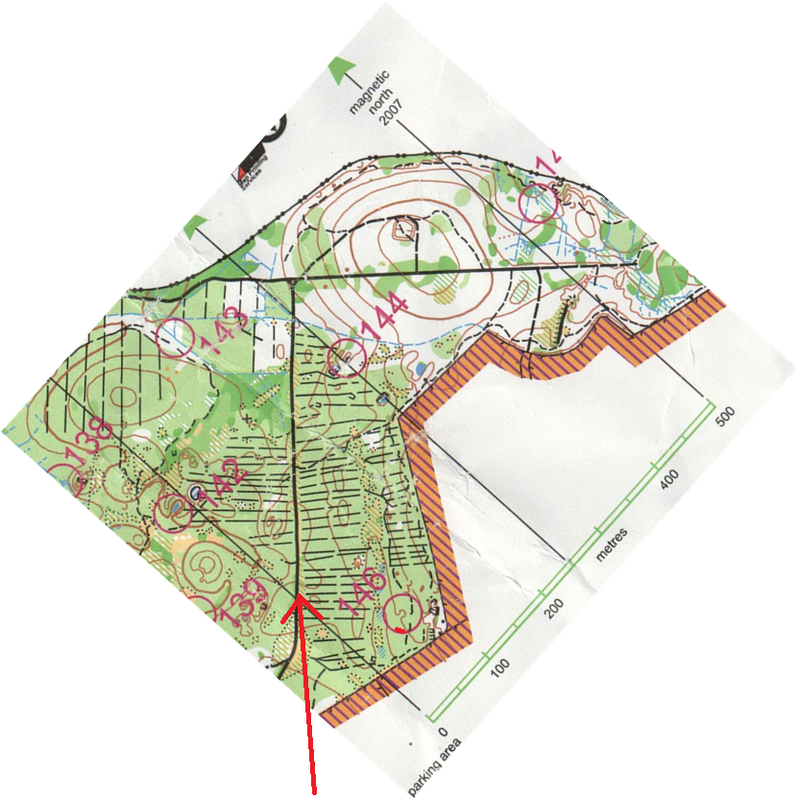 This skill is very important in orienteering – you need to know how to hold your map so they it is aligned correctly with the ground. 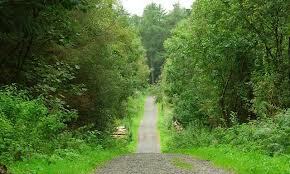 This means if you are running south, the map must be held with the south side facing away from you. Try using your compass first – see which direction North is in, and then rotate the map so that North on the map is facing North. Knowing how to orientate the map without a compass is very useful, as it means you can constantly be making sure that the map is correct, and you can note any features that you pass (Collecting Features) much more easily. It also helps control flow – getting into the control and knowing where to go next – the map is already facing the right direction, so you just look at the pink line and run that way. Next time you are orienteering, try these two techniques – the first one will probably be easier, but once you can do it without a compass, after a while it becomes natural and you don’t have to think about it at all – the map is just orientated all the time. The technique described in this article is only one of the two possible techniques, the other one being obviously keeping the map with the North to the top at all times. It is unfortunate that the first technique is often described as the best or the only one: if you’re comfortable and have the skills to run without constantly orientating the map, you will find there are many advantages. Of course, you should choose the technique that suits you better, but don’t close your mind into a standardized way of thinking.